Mumbai: Shri. Devendra Fadnavis (Hon. 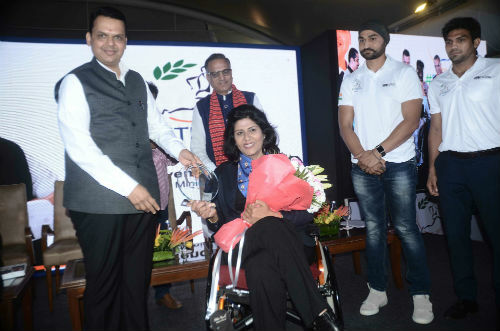 Chief Minister, Maharashtra) and Bollywood Star Sonu Sood were speaking about the importance of nutrition and the benefits of adopting a healthy lifestyle at the “FIT INDIA CONCLAVE” held at The Lalit in Mumbai. The second phase of the FITINDIA CAMPAIGN, which vehemently is spreading education and awareness about an active lifestyle and nutrition, also announced a path-breaking Rs. 2 multi-nutritional sachet by Glanbia for common people, which is completely Made In India. Fit India has also partnered with 1000 Villages to fight Mal Nutrition in Melghat & Palghar, Pledge their support to Village Transformation. Speaking about the FIT INDIA CONCLAVE organized by Glanbia, Mr. Avik Sanyal, Country Head of Glanbia, said “To support our mission to “Make India A Fitter India” we will be launching an affordable range of products to meet daily nutrition requirement of the people in India. And these products will be available across 20,000 stores in India. 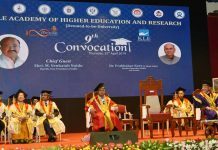 Noted personalities like Mr. Sandeep Singh, Indian Hockey Player, Ms. Deepa Malik, Para Olympic Gold Winning Athlete, Mr. Manoj Kumar, Indian Boxer, Dr. Haresh Mehta, Cardiologist, Mr. Chirag Sethi, Nutritionist, Ms. Shweta Shalini, Social Activists, Mr. Sam Bedi, Regional Director, Glanbia Performance Nutrition, ASPAC attended the event.